On March 26, Saffronart, the Mumbai based art auction house, will be auctioning off Nirav Modi’s art collection. This is the first time that a professional auction house is auctioning artworks on behalf of the Tax Recovery Officer, Central–3, Mumbai, Income Tax Department, Government of India. The proceeds of the auction will be used towards recovering Rs95,91,82,549 from Camelot Enterprises. 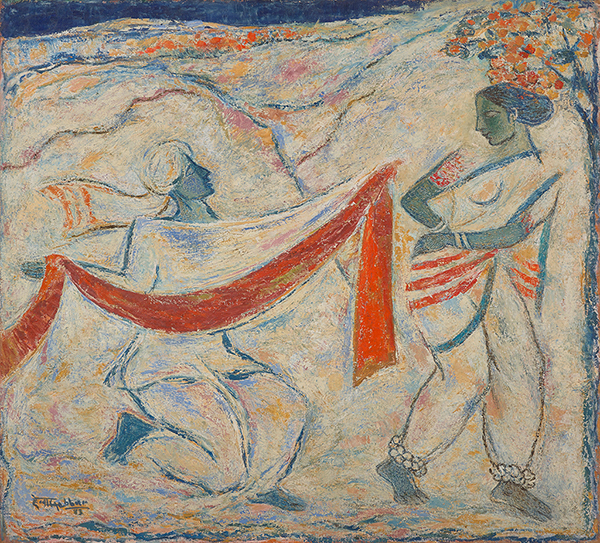 Tuesday’s auction features a total of 68 works by leading modern and contemporary Indian artists, as well as five contemporary Chinese artists. Of these there are 10 works by F.N.Souza, and two works each of K.K.Hebbar, Akbar Padamsee, Sunil Padwal and Rekha Rodwittya. According to Vazirani, with every catalogue the auction house produces, it does extensive research to include information about provenance, exhibition and publishing history wherever available. “We have followed the same rigorous process with this catalogue,” she says. Vazirani is expecting an enthusiastic response for these highly sought after works.